Hardcover, 9.25 x 11.25 in. / 100 pgs / 22 color / 12 bw. Foreword by Gregory Burke, Catherine Crowston. Text by Christopher Eamon, Zoran Eric, Raimundas Mala?auskas, Andrzej Szczerski. 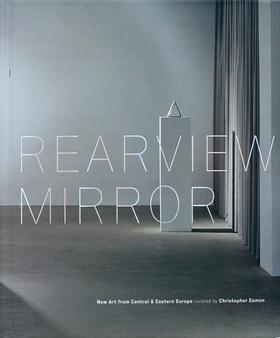 Rearview Mirror surveys a new generation of artists from central and eastern Europe. 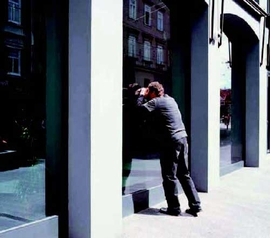 Among the 22 artists included are Pawel Althamer, Igor Eiskinja, Anna Kolodziejska, David Maljkovic, Ján Mancuska, Alex Mirutziu, Anna Molska, Roman Ondák, Anna Ostoya, Taras Polataiko, Wilhelm Sasnal, Sislej Xhafa and Katarina Zdjelar. Featured image, by Roman Ondák, is reproduced from Rearview Mirror. FORMAT: Hbk, 9.25 x 11.25 in. / 100 pgs / 22 color / 12 b&w. Published by The Power Plant/Art Gallery of Alberta.